I agree. VERY SLOW shot. It would get swatted every time. I agree it's slow but I don't think the hop is illegal. Just like stepping into a shot. But it is slow. There is a little hop before the actual jump into the shot. I had a player shoot this way and got called for a walk every time. GCMS 6'6 forward will visit tonight for the BYU game. Only D1 offer is Chicago State, but he was a member of the Illinois Irish AAU squad. Taylor Bruninga and Matt Chastain came from the Irish too. I’ll take a slow release with great results over a quick release and cinder blocks breaking the glass on the board. His shot release will quicken once he gets used to game speed. The foundation of his shot is good. Plus, it’s within the rules to design plays, screens and ball movement to get open looks for players. Even ones with a slow release. You just talking nonsense now . . . designed plays? phhfffffftt! Sunelik scored 28, with seven 3-pointers in the Nation's most recent win. Bet he'd have had 14 treys if he had a faster release . . .
Talk about crickets...any recruiting going on for Spring? Muller was asked this week about recruiting bigs for next season. He said, "We are not currently actively recruiting bigs for next season." Then pointed at Taylor, Rey, Abdou, Keith (who they call KJ by the way), and Jaycee as a "physical 6'7." Team needs would obviously be a PG but I'd assume a wing and combo guard is what get signed. I believe we have 3 scholarships to fill. I have a hard time believing one wouldn't go to Chas, but if he doesn't need it, clearly he is the type of team player to give it up for the sake of the team. Hein could do that again too if enough players want to transfer in like last off season. 10 of 13 are filled. We need a PG but I'm not sure how many more 6'4 and under players the team needs. We have a BUNCH of guards but no "point guard." I'm all for trying to get Copeland off the ball next season. So Boyd is a PG but he's going to be looking to score more than distribute/facilitate? From what I've seen of Boyd, like Copeland or Evans, is a guy who scores better of the ball but has the ability to be the pg. The thing about our offense right now, is that it doesn't really require a pg because of the weave ball movement up top. It usually just ends with someone shooting a 3 or feeding Phil. It's interesting in that way, but also frustrating because it's not tough to defend. I do miss the days of Plee setting up the half court sets. I agree 100% but if we have a guy who can facilitate enough for next season (Copeland, Boyd, Hein, Horne) then then another stong freshman pg or d1 transfer might be the way to go. Check out our roster with the classes for next year. Very top heavy on the guards/wings and we need to start weaving in some younger players now instead of waiting to snag whatever JUCO PG/wing is available in 2 years. It would be great to be able to build something like college football where most freshmen redshirt. I understand why that doesn't happen but it could help build continuity, but also enable more transfers. I also believe we are still actively involved with Deang Deang, he is a JuCo 2 guard/wing. Another thought is that when (if?) Barry gets canned from SIU, would we have opportunity with a couple of guys we recruited but committed there? Such as 6'2 combo guard Lance Jones out of Evanston, or Evan Taylor, the 6'5 wing from Glenbard West? 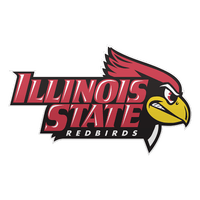 I would imagine both players would ideally want to stay in state if they committed to SIU. I will take Deang Deang and a a thre point shooter. I am hoping that between Horne, Boyd and Copeland we can handle the ball and distribute. We need multiple players who can drain the three. Taylor, JJ and hopefully another. I would be down for a grad transfer true point guard.